Friday, March 7th, 2014 – 19:00 – 7 years anniversary concert! Death metal / grindcore band from Bucharest, Ro. "Cap De Craniu live!" Concert in Bucharest. 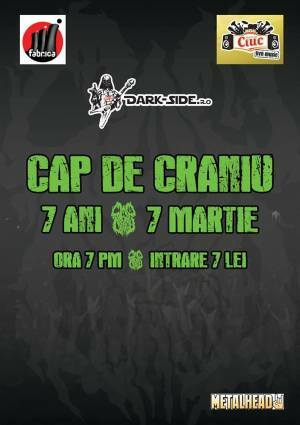 You can get here description, reviews, address, time and details of "Cap De Craniu live!" Concert in Bucharest. Visit Bucharest Tips for more Concert events in Bucharest!